What are the Benefits of Having Grundfos Hot Water Circulators for your Home? This mindset holds true especially for activities as common as hopping in the shower or washing the dishes. What can you do in order to make sure that you always have hot water ready for you? One simple way to address this problem is by installing one of Grundfos hot water circulators. Let's take a close look at what hot water circulators are and how they can impact your home in a positive way. Before we dig too deeply into the benefits of a hot water circulator, let's start by discussing what these machines actually are. 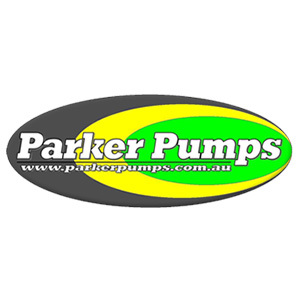 A hot water circulating pump is a type of pump that is installed into your plumbing system. The goal of the circulating device is to push cold water to the heater in order to get the water prepared for use. You'll find that large hotels and resorts all rely on hot water circulating pumps in order to make sure that the temperature is perfect for their guests, no matter how many guests there are in the building. With that out of the way, let's talk about the benefits of having your own Grundfos hot water circulator installed in your home. 1) Convenience & Accessibility - The most obvious benefit of having a hot water circulating pump is that it makes your entire plumbing system more convenient. You'll essentially always have hot water available to you whenever you turn on the tap. Otherwise, you'd have to wait for the system to heat up your water after turning the tap. 2) Prevent Waste - Additionally, hot water circulators also work to prevent excess water use. Hot water being instantly available means that you won't have to waste all of the colder water that you didn't want. When you don't have to leave your water running while the system heats up, everybody ends up winning. 3) Easy to Install - Hot water circulating pumps can be installed into any size plumbing system. From massive resorts to small single-family homes, you can easily add one of these machines into your plumbing system without breaking a sweat or worrying about how effectively the tool will work. If you are in favour of hot water on command, a hot water circulator can help you out. Consider installing a Grundfos hot water circulator into your home today.